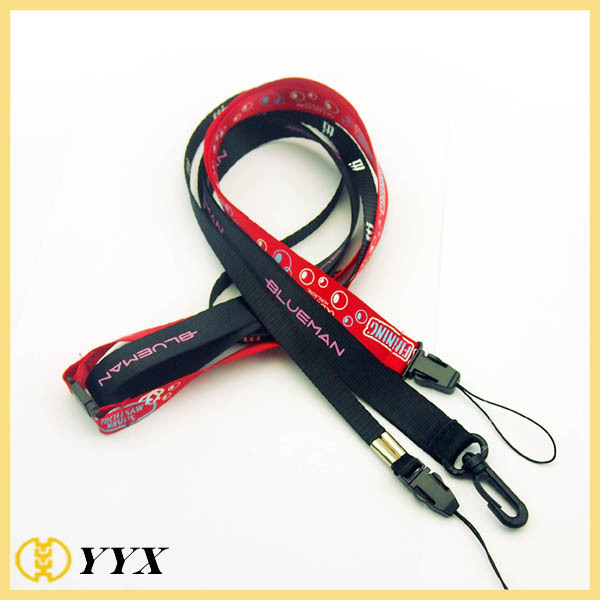 Product categories of Heat Transfer Lanyard, we are specialized manufacturers from China, Heat Transfer Lanyard, Personalized Logo Heat Transfer Lanyard suppliers/factory, wholesale high-quality products of Heat Transfer Printing Custom Lanyard R & D and manufacturing, we have the perfect after-sales service and technical support. Look forward to your cooperation! What is Heat Transfer Lanyard? 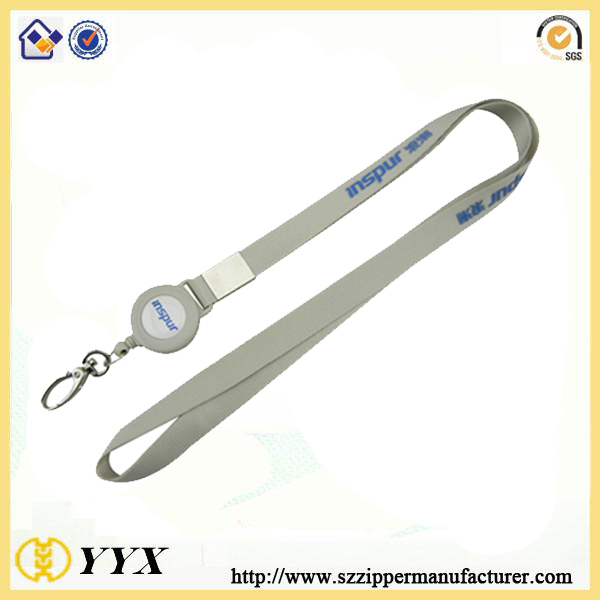 Heat transfer lanyard is sublimation Lanyard is designed in the pattern, production copperplate, electric carving through the mechanical sub-color pattern engraved on copperplate. Copperplate printing machine and then get on the pattern printed on the PET film, and then through the mechanical heat transfer lanyard pattern is transferred to the product. You can see lanyards in use everywhere by businesses, schools, hospitals, at special events, conventions, reunions, and in many recreational activities. 1. Material: Polyester,Nylon, cotton, PVC, bamboo fiber, tubular, reflective are also available. 3. Logo imprinting: Sublimation imprinting, Silk-Screen imprinting, Woven logo also can be offered. 4. Attachments: hook and buckles as shown in the below photos. These are simple decorative device worn and used to protect your small belongings such as keys, ID cards, pens, pocket knife, flash and pen drives, whistles and electronic devices of various magnitude and size in order to prevent them loosing from yourself. 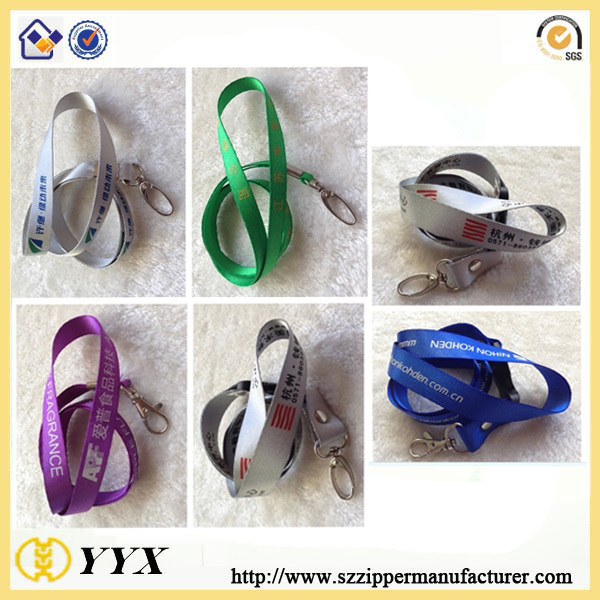 Lanyards(Such as custom logo lanyard,heat transfer printing lanyard.) are used in situations where there is a good possibility of losing the object that you carry and use every day. These can be made to various size and length to serve various needs. Whether you are a corporate executive walking around with some sensitive information locked in your flash drive or a maintenance personnel carrying bunch of keys to the various doors of a building that you maintain, these lanyards become a handy tool for you to stay organized. Lanyards are made from the best quality-assured and durable polyester. Polyester can get your lanyards a soft touch that gives you a quality product with a professionally finished look. Single or multiple color imprinting is possible for your lanyards. Images and texts on Imprinted Lanyards are guaranteed that it will not be damaged if washed or rubbed. We have multiple widths for polyester lanyards. We have 15 mm, 20mm and 25 mm of width for your polyester lanyards. Finish off your polyester lanyard with our wide selection of standard and optional attachments.